The stunning Nest furniture and designer lighting showroom features a carefully curated sample of our iconic products, showcasing items from Louis Poulsen, HAY, Vitra, Carl Hansen, Tom Dixon, Muuto and Moooi, to name just a few. 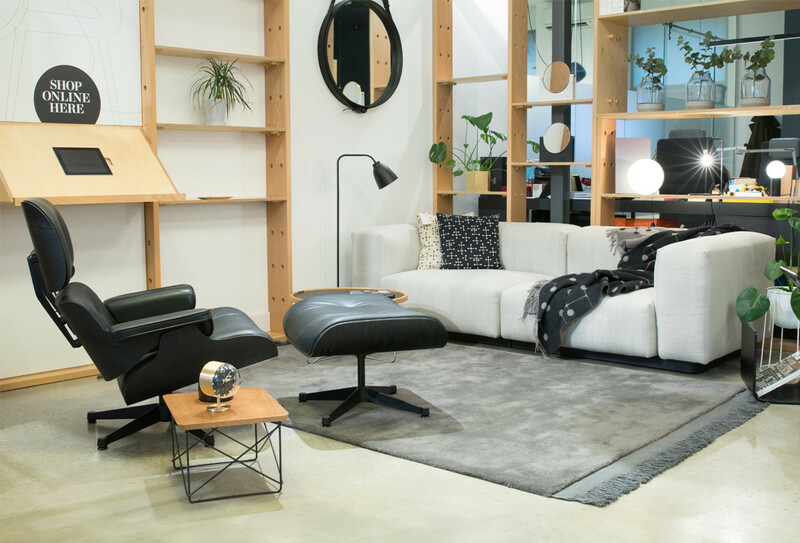 Featured: The Vitra Eames Lounge Chair & Ottoman - All Black, alongside the Vitra Soft Modular Sofa Two Seater. Excuse us while we change… our showroom is currently closed for refurbishment but don’t worry, we’ll be back soon with a fresh new look. If you have any questions, our customer service team are available from 9am-5.30pm Monday to Friday. Email us at info@nest.co.uk, call us on 0114 243 3000 or get in touch via Livechat. To offer you the best service possible we operate on an appointment basis for both residential and trade customers. This is to ensure you have our focused attention and lets us plan before your visit to tailor your shopping experience to your personal or project requirements. So, whether you need interior design advice, information for your latest professional endevour, or you simply need to find that ‘wow’ piece for your home, we are on hand to make sure it happens. Appointments are available from 9am to 5pm, Monday to Friday, and Saturday appointments are available upon request. Please contact us in advance by the methods below and a member of the team will run through some simple questions to make sure we are fully prepared with the best possible information for you upon arrival. We would love to see you at the showroom, where you can touch, smell and experience our forever products. Seeing and feeling really is believing. Come and relax on our stylish yet comfy sofas, switch on our lights - and marvel at the relationship between light and design - browse our must-have accessories and shop our beautiful gifts. Exclusive events are hosted throughout the year so make sure you sign up to our Nest VIP list and be the first to hear about them. Are you giving your home a makeover? 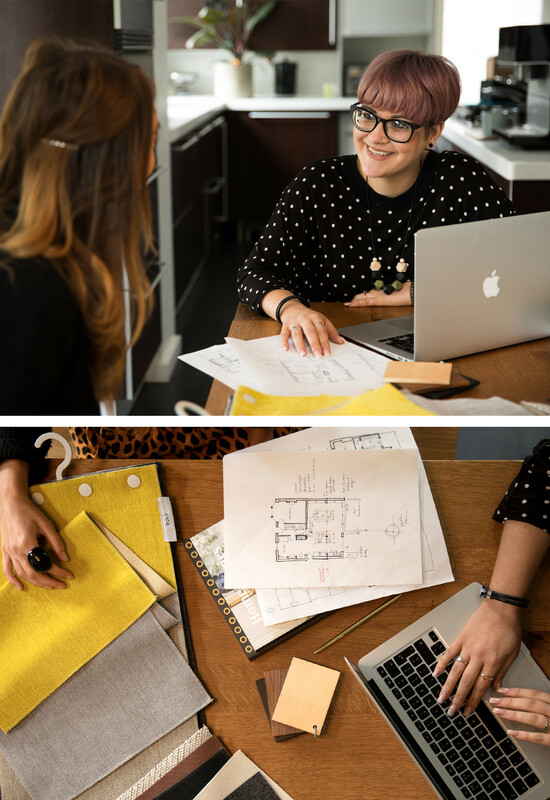 We also offer a complimentary home consultancy service where our dedicated product specialist will help you get the best out of your space. Their expert advice will lead to you getting the home you deserve, skilfully tailored to your needs. Dedicated Product Specialist Ashlee & the Fritz Hansen Egg Chair Leather. The Nest team are available 9am-5.30pm (GMT) Monday to Friday. Livechat: Available 10am-5pm (GMT) Monday to Friday; click on the speech bubble in the bottom right hand corner of your screen. Exit M1 at Junction 33. At the roundabout, take the exit for Sheffield City Centre (Parkway) and follow the dual carriageway signposted A630 leading on to A57. After about 4 miles take the exit signposted “Parkway Business Park and Markets”. Follow the road under the carriageway to the roundabout. At the roundabout take the second exit onto Parkway Drive, then take the first left about 100 metres after the roundabout. Take the first left into a large car park where you will find us. Head towards the M1 via the Sheffield Parkway (A57). Take the second exit signposted “Parkway Business Park and Markets”. At the roundabout take the second exit onto Parkway Drive, then take the first left about 100 metres after the roundabout. Take the first left, then left again into a large car park where you will find us.